UFOvni2012 uploaded the image to its YouTube channel on June 20, 2015 and it has gone viral having been viewed more than 300,000 times. 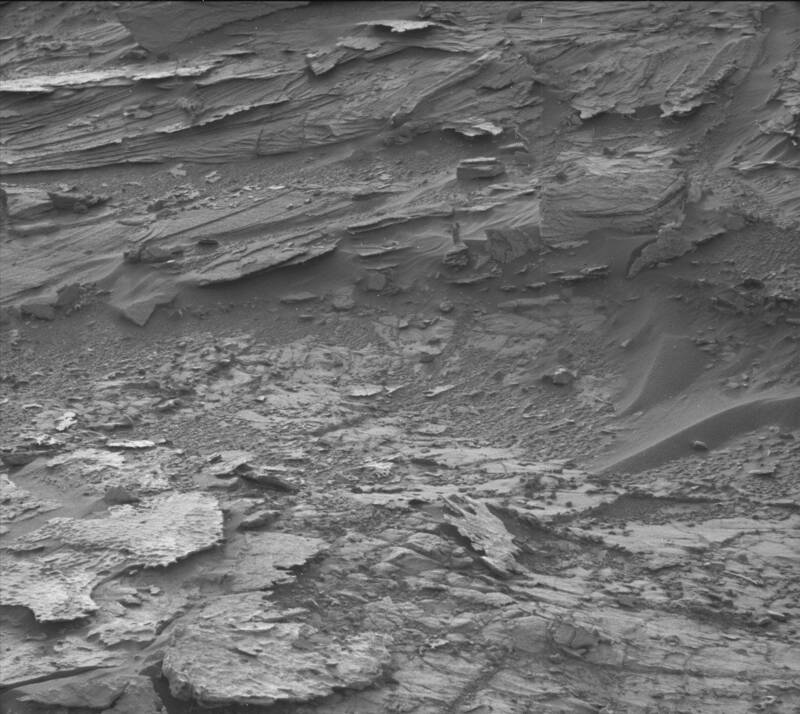 The photo appears to a show a ghostly woman standing on a rock formation observing Curiosity rover. She appears to be wearing a flowing dress. Her head and two arms are distinctly visible. Has Curiosity Rover Photographed A Woman On Mars? UFO Sightings Daily editor Scott Waring, notes that the woman appears to be bare-chested. Some viewers noted that the style of her dress is reminiscent of the fashion style of ancient Minoan women. Ancient Minoan art often shows women spotting a bare-breasted style of dress. Waring also suggests that the image could be a highly eroded ancient statue, but thinks it unlikely. The reaction to the “analysis” by YouTube viewers was mixed. Some viewers appeared convinced while some expressed disbelief. Someone suggested that the woman is an alien version of the Statue of Liberty. However, NASA scientists continue to tell anyone who cares to listen that strange anomaly sightings in Mars rover photos are due to the psychological phenomenon called “pareidolia,” a tendency of the human mind to perceive familiar shapes and figures when presented with otherwise meaningless jumble of data. But anomaly hunters dismiss this scientific explanation.